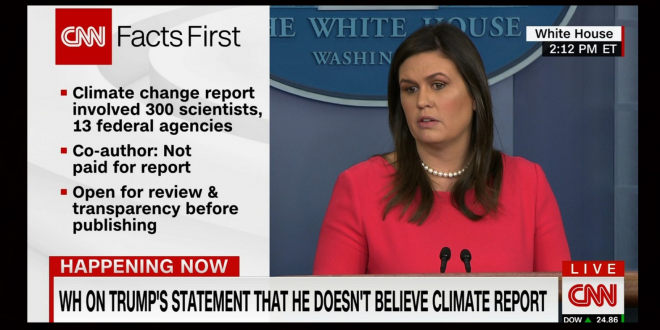 White House Denies Federal Government's Climate Change Report: "It's Just Not Based On Facts" [VIDEO] - Joe.My.God. “The president is certainly leading on what matters most in this process and that’s on having clean air and clean water. In fact, the United States continues to be a leader on that front,” Sanders told reporters at a press conference on Tuesday afternoon.